There it is. The great commission. This is what I am wrestling with right now. What does this look like? 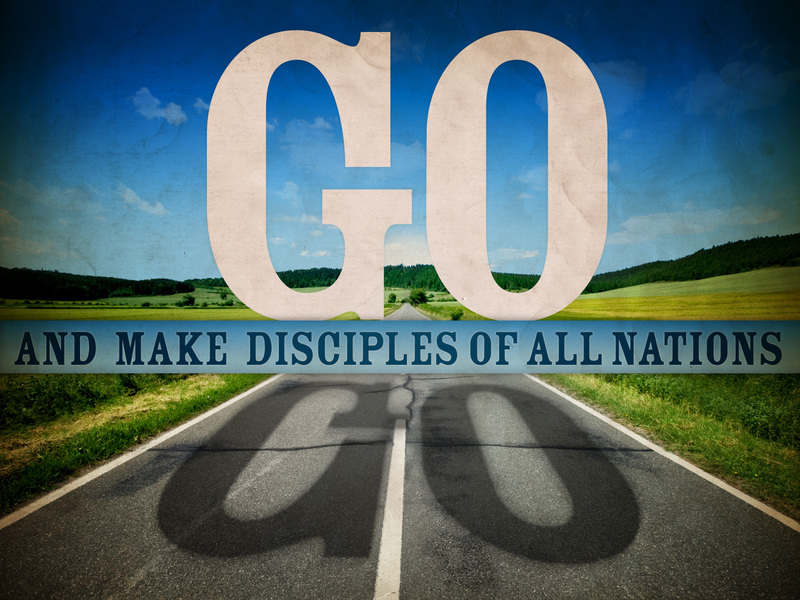 How, in this American culture, does making disciples of Jesus Christ happen? Am I doing it now? Lately I feel restless. I read Scripture and think about how Jesus walked around and went to people. He made himself accessible. He didn’t just have a Sunday morning meeting. He didn’t just go to the temple. He walked around town. He got in a boat and went across the river. He went to places where even his apostles didn’t want to go. He talked to people who were not looked at as people who a Holy person should talk to. He ate with tax collectors. He ate with prostitutes. He healed people who were considered “dogs” by many. He asked questions. Is that what I am doing? Am I being salt and light to the world by more than Facebook posts and writing a blog? Am I really showing I love the Lord by really loving my neighbor? Is my faith being shown by my works? The more I read Scripture the more I feel convicted on all fronts. This is not in a bad way. It is not a guilty feeling. It is a feeling of longing. It is a feeling of longing to be more like Christ. To live a sacrificial life. As I write this I realize it may be the sin of pride I am fighting with. I sit and sometimes think of the church in countries where it is illegal to be a Christian. I think of how there are places where, if you have a Bible, you can be killed. 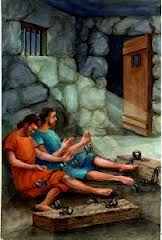 I think of Paul and other Apostles and disciples who were beaten, put in prison, and killed for going out and proclaiming the Good News. In a contrasting situation, I sit here writing a blog free from that persecution. I live in a country where yes, sometimes Christian views are not popular, but we get to express them in many ways. While that freedom may be threatened one day, I still have that gift. Instead of feeling like I am not sacrificing enough because I am not persecuted, I should take advantage of the Grace and Blessing God has given me by being in this country. If you are restless out there, let’s get bold. Let’s be the body of Christ. Let’s be the Church and not just go to church. Let’s take care of our brothers and sisters in Christ everyday. Let’s make a difference where we live so the light of Christ can be seen so that people want to be a part of the body. Let’s be salt so people seek the living water of Christ. Let’s build each other up so we are prepared to accept the great commission. Let’s speak the Truth in Love to each other so we can grow up in Christ. I need to be held accountable. The commission needs to be taken seriously. If you are not a believer and are reading this blog for the first time I pray the Holy Spirit works in your heart and you know Jesus. I pray He saves you and you are born again. I pray you know He died on the cross for you. I pray you can trust Him and that, because He died on the cross, if you repent and confess He is Lord, you are forgiven and you don’t have to be a slave to your sins. You are free in Jesus Christ. I pray that you believe. I pray in the Awesome name of Jesus Christ. Great motivational piece! Love your passion for our beloved Jesus!